Regardless of the size of your building in Longmont, CO, if you need professional assistance with a furnace installation, the team from Lion Home Service is ready to handle all of the details. Our company is accredited by the BBB and proud to offer a 100% customer satisfaction guarantee. As a HomeAdvisor Elite Service Provider, we place our focus on offering excellent customer service. Our locally owned and operated company is heavily involved in the community. Our goal is to build trusting and lasting relationships with all of our customers. There are several signs to look for that could indicate that you need a new furnace. 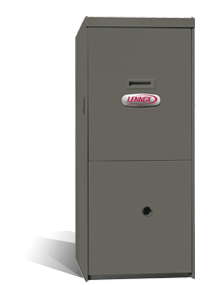 If your unit in Longmont is making strange sounds when you switch it on or turning on and off more frequently than normal, it could be time to move forward with a furnace replacement job from Lion Home Service. We’re happy to work with both furnaces and heat pumps from any brand. The proper parts will be used to ensure that everything is working as efficiently as possible. To make each furnace installation job in Longmont go as smoothly as possible, Lion Home Service stays current with advances in technology and provides our service experts with ongoing training. We want to be the company you turn to with any furnace replacement job in Longmont. We operate with a high level of integrity and honesty to ensure our customers have a great experience when they choose to use our services. Not looking for a furnace installation in Longmont? Contact us today for furnace repair and maintenance as well as AC installation.